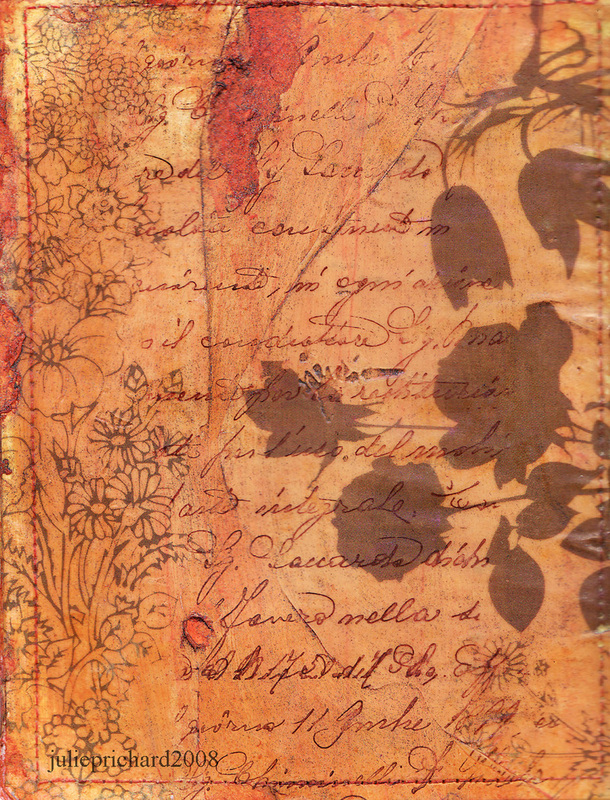 Fun trick: The floral graphics on this mail art were achieved by making a gel medium transfer. I found this image in a magazine. Since the image was brown on a pure white background, all that transferred was the brown. White will not transfer. Just a quick tip to help you in selecting your images to transfer. Have a great day!